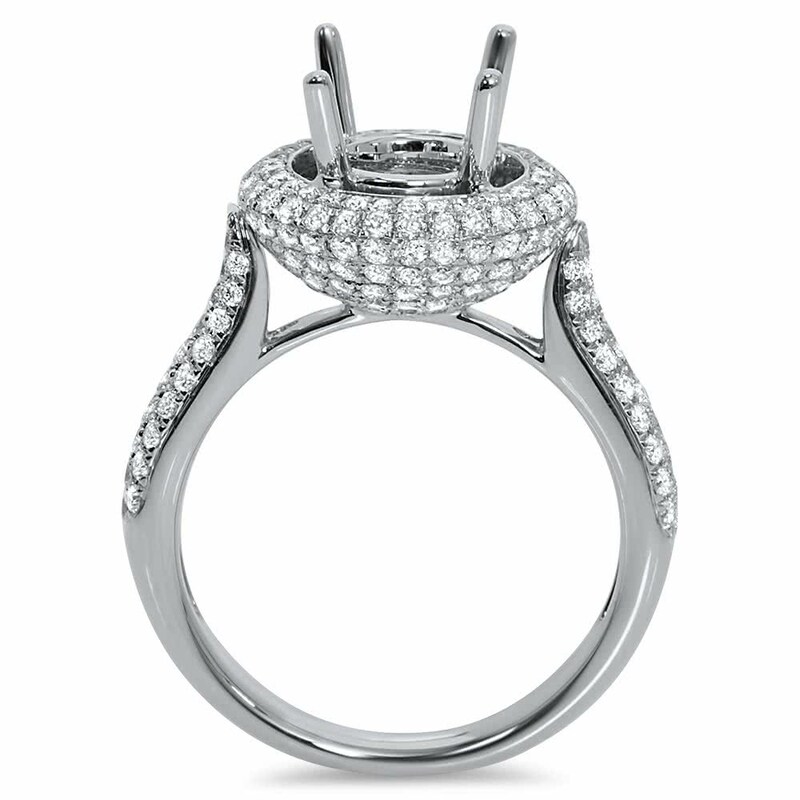 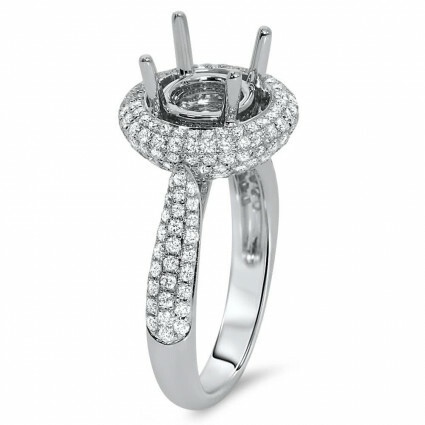 18k white gold engagement ring is set with 228 round diamonds. 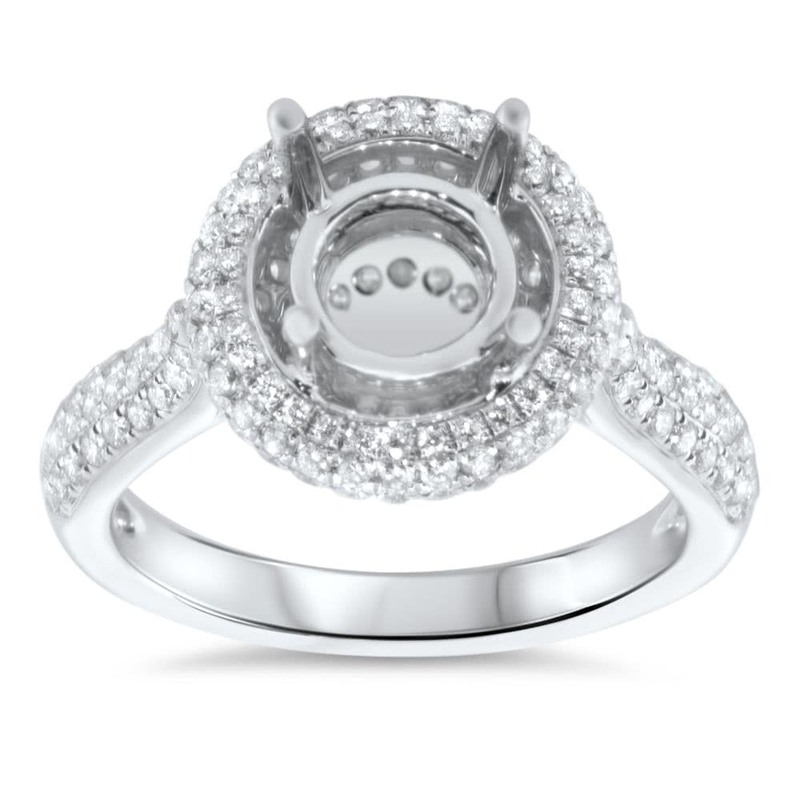 Each diamond in the halo and cathedral side stones are pave set. 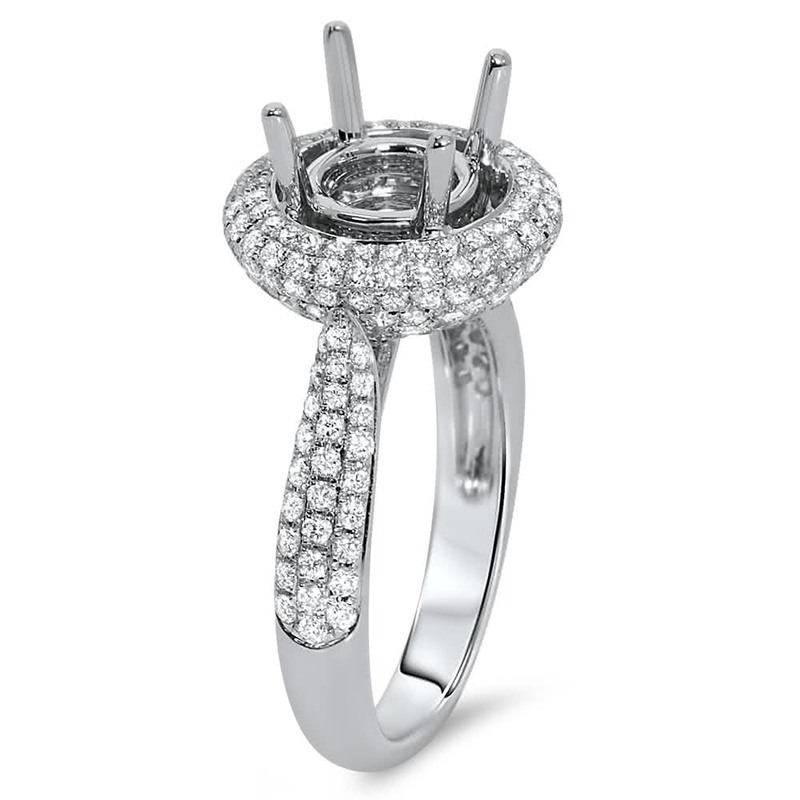 The ring will accommodate 1.5 carat round diamond.